Enjoy the benefits of hydrotherapy, chromotherapy and aromatherapy in the comfort of your own bathroom with the beautiful Pegasus Sensations™ Left Hand Whirlpool Showerbath. This stunning whirlpool showerbath is available with a choice of three Pegasus Sensations™ whirlpool options listed below. The Showerbath whirlpool is available in either Left or Right hand versions. Click here for the RIGHT HAND VERSION >>. All the therapy you could possibly desire - Hydrotherapy, Chromotherapy and Aromatherapy, the Pegasus Sensations™ whirlpool system has been developed with the benefit of our Managing 26 years experience in manufacturing & servicing whirlpool baths together with feedback we have received from our customers. The result is a luxurious whirlpool bath which combines Performance, Reliability, Hygiene & Functionality. A simple but stylish glass control, available in black, white or silver, operates all the functions of your bath. Happy with the bath you have chosen? If you are happy with the bath you have chosen, please continue by selecting one of the three Pegasus Sensation™ whirlpool systems below (Sensa Jet, Flush Jet or Quadro Jet). You may require a bit more information about some of the Pegasus Sensations™ whirlpool systems & features, if not already done so, click on the expanding links below or give us a call on: (01633) 244555 for some advice. SensaJet™ - These are what we consider to be our "standard" type of whirlpool jet. 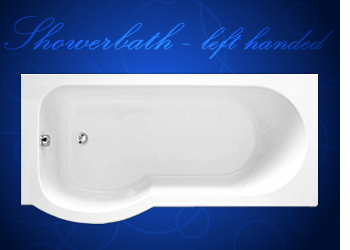 They have a protrusion of about 1cm from the bath & are rounded on the sides for ergonomic comfort. 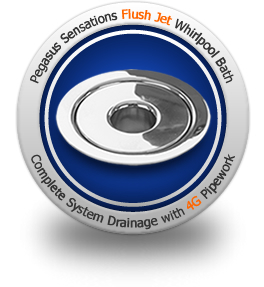 Flush Jets - Flush jets are considered to be a elegant upgrade from our SensaJet™. Flush jets sit almost completly flat to the surface of the bath with only about 1mm protrusion. Sleek & stylish, flush jets are quickly becoming our most popular choice when customers are designing their own bespoke Pegasus whirlpool bath. Quadro Jets - An alternative whirlpool jet choice that gives a unique square look to you whirlpool bath. Quadro Jets offer a ultra modern, contemporary option that accompany a minimalists decor perfectly. Quadro jets also have an adjustable eyeball that allow the bather to direct the flow of air into the bath. Hydro-pools - Hydro-Sensation™ is the name we have given to the Hydrotherapy/Spa jets that provide the bather with a lovelly bubbling & soothing effect that comes from the base of the bath. We now have a flush fit spa jet that is thinner in depth than a 20 pence piece! Designed to compliment the whirlpool flush jets, these jets will be fitted as standard when you purchase your Pegasus whirlpool bath & add a Hydropool to it. Chromotherapy Lighting - Pegasus Whirlpool Baths UK are proud to re-introduce their new & improved Chromotherapy Whirlpool Bathtubs. Pegasus Whirlpool Bath first introduced their Chromobath range in 2009 when they proved an immediate success with an increased demand for tubs to be installed into care homes and disability centres. We also recieved an overwhelming response from people who installed our Chromotherapy Massage Tubs into their homes for therapy purposes such as anxiety, insomnia & in particular, from those who suffer from depressive disorders such as seasonal affective disorder known more commonly as SAD. 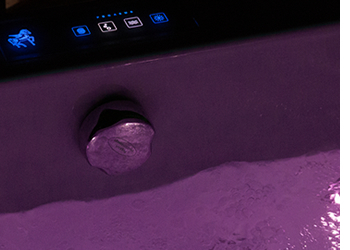 Our new & improved Chromotherapy Whirlpool Baths focus more on the therapeutic qualities of colour. Our super high-flow venturi incorporate bright chromotherapy lighting which provides a superb all round lighting effect in the bath and include 5 preset programs promoting ENERGY, TONIC, RELAX, SUN and DREAM. Chromotherapy lighting can be used with or without the whirlpool massage. 2 Year Warranty, Extendable For Life - All Pegasus Whirlpool Baths are supplied with FREE 2-Year Parts & Labour Warranty- Extendable for life! We are confident you won't experience many faults in the lifetime of your Pegasus Whirlpool bath and to prove it we're giving you the first 2 years absolutely FREE! All whirlpool bathtub parts are sourced from reliable manufactures in Italy and the UK producing high quality, durable components. Chances are, once you've installed your Pegasus Whirlpool Bath, we won't hear another peep from you... other than when you're stocking up on your favourite aromatherapy oils of course!